BALTEX is a Regional Hydroclimate Project (RHP) of the Coordinated Energy and Water Cycle Observations Project (CEOP) within the Global Energy and Water Cycle Experiment (GEWEX) of the World Climate Research Programme. In recent years, the emphasis of BALTEX research has been on various aspects of regional climate change and its effects on water, energy and biogeochemical cycles in the atmosphere, on land and in the sea. 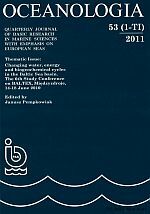 Thus, the scientific focus of the conference in 2010 is on „changing water, energy and biogeochemical cycles in the Baltic Sea basin“. Climate variability and change in the past and future. 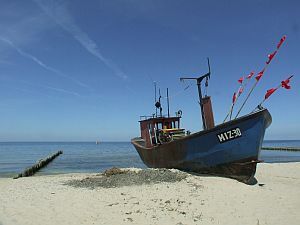 This topic involves the characterization of the past climate using recent instrumental and proxy data, detection and attribution studies, as well as assessments of past, current and future climate change, including new scenarios of the climate of the 21st century, and its impacts on the environment. Water, energy and biogeochemical cycles in the regional Earth system. This topic involves process understanding and the improvement of observations, as well as the development and assessment of regional models. As biogeochemical cycles are strongly interwoven with the water cycle, this topic integrates energy, water and biogeochemical fluxes in the sea, on land and in the atmosphere in response to climate change. Also included is the coupling of regional climate models with biogeochemical models to estimate the impact of climate change on the terrestrial, freshwater and marine environment of the Baltic Sea basin. Hydrological modelling, water management and extreme hydrological events. Hydrological changes are among the first to become evident as climate changes. How will these changes affect water management? Which dangers are we facing? This topic includes the assessment of water resources in past, present and future climates, as well as forecasting extreme events and their impacts on the environment and infrastructure. Regional adaptation to climate change. How can regions respond to the challenge of climate change? This topic involves questions related to adaptation measures on the regional scale, and the communication of climate change information between science, policy and the public.